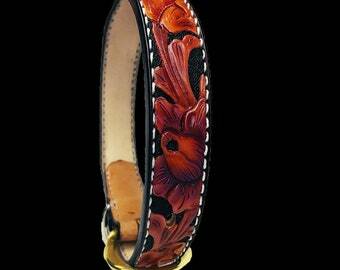 Handmade leather dog collar's custom tooled with a flowing design that ends with a twist. 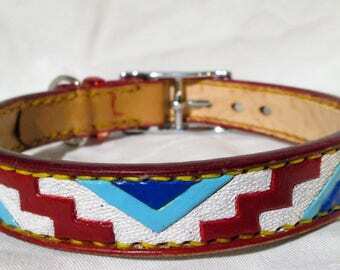 This collar would be great for Border collies, Doberman Pinschers, Boxers and more that would require a 18" neck size. 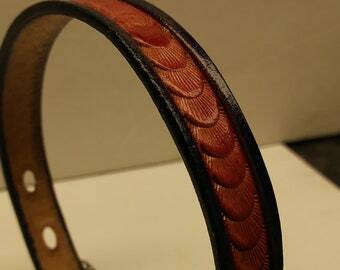 One strap of saddle skirting leather and a strap of vegetable tanned leather as a liner comprise this custom collar. It's then glued and hand tooled. Edges beveled, stitch groove installed, oiled, airbrushed in layers of British tans and highlighted. A thin top coat is applied to keep dye off of new thread. Then hand stitched in Arctic white waxed linen thread. Edges hand sanded then burnished to perfection. 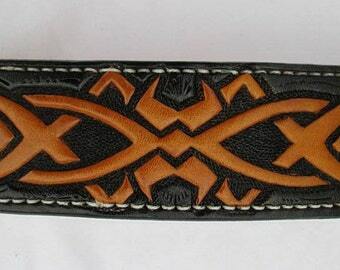 The collar measures 1.5" wide. The holes are on 1" centers and start at 16 and goes to 20". Eighteen (18") being a perfect fit. If your baby isn't in the sweet spot, message me please and let's create one that fits exactly for your male or female. 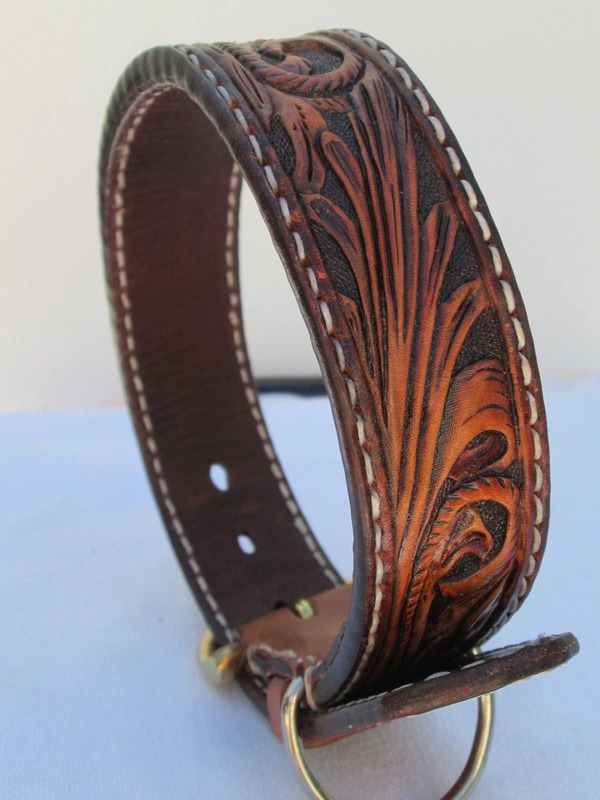 The buckle is solid brass, a welded d ring and matching leather keeper. 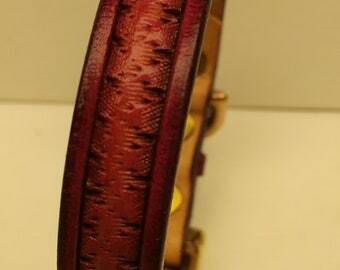 The leather dye is a professional type and penetrates deeply. In final the entire piece gets poly coated for years of beauty and service. Thank you for stopping in on my latest piece! 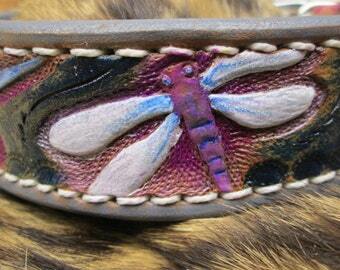 This would be great for Border Collies, Boxers, Doberman Pinschers and beyond. 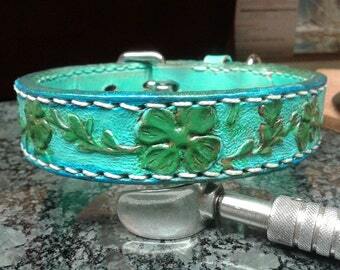 Très beau collier pour un Azuki!